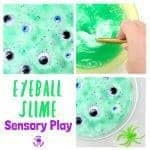 Oh boy, oh boy you won’t be able to resist diving into this edible sensory play balls tray yourself before the kids even get a look in. Seriously! 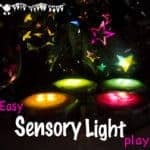 This week we had some friends over for the afternoon and when I got this sensory bin out full of vibrant, shiny balls that you can actually eat, I was fighting the adults off it! The grown-ups were just as keen as the kids to dive in, feel it, squish it, smell it and taste it too. It just looked so appealing no-one was able to resist! You have been warned! 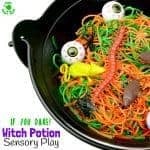 You’ll love how truly multi-sensory this edible play activity is and how easy it is to set up. All you’ll need to remember is to prepare it the day before you need it so it all has time to set before the fun play and tasting begins. 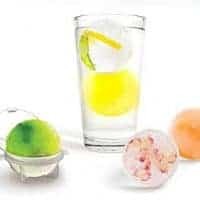 I love using ice ball moulds in two different sizes to add variety to the sensory activity. I also pour some jello into cereal bowls to make large semi-spheres too. Once the jello is set simply empty the ice ball moulds out on to a large tray and let the sensory play begin. 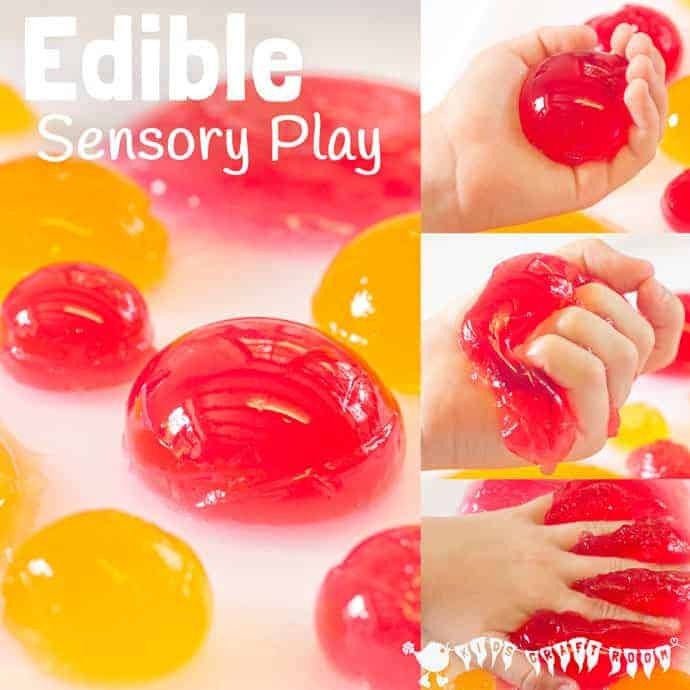 You’ll love how kids of all ages won’t be able to resist getting really hands on with these edible sensory play balls! 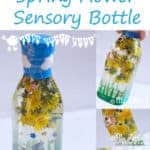 This is an activity that truly stimulates all the senses! The smells and colours are just gorgeous and then there’s the taste of course, and the textures as they roll it and squish it around. And don’t forget about the sound too! 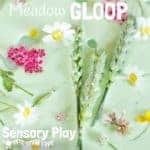 Just listen to the wonderful squelches and slurps in our short Instagram video clip below. 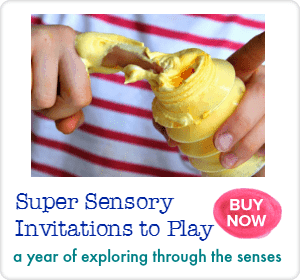 It’s super to let the children take the lead and explore the edible sensory balls in their own way. 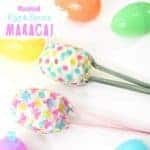 Kids might like holding the edible balls and squeezing them to change their shape. They might squeeze the balls hard and watch and feel them break up and squelch through their fingers. Just listen to all their wonderful exclamations and descriptions as they do this. You’re sure to hear lots of “Oohs”, “Ahhs” and squeals of delight. 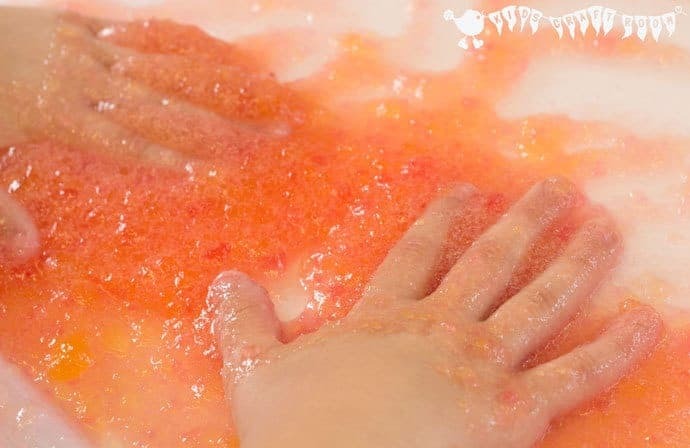 They might use their whole hand to squash the sensory jello balls flat. 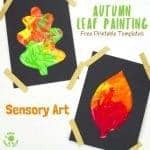 They can enjoy swirling the edible sensory material around and around and seeing the colours change as they blend together. And of course they’ll enjoy popping a little jello ball into their mouth and having a taste too! Wouldn’t you? 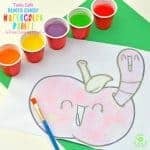 Looking for more exciting kids activities? Check out two of our favourite books. 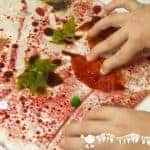 First up is SUPER SENSORY INVITATIONS TO PLAY which is bursting with ideas, linked to the festivals and seasons, to easily bring a different sensory play experience into your child’s life every single week of the year! 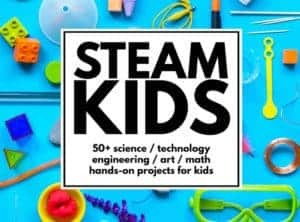 And next is STEAM Kids, which offer a year full educational fun, fun FUN! If you are a parent or work with kids both are must haves for the bookshelf. 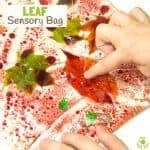 Would your kids enjoy getting hands on with this truly multi sensory play activity? We love hearing how you get on, leave a comment below, come and chat on Facebook or sign up to our email updates. Once the jello is set simply empty the ice ball moulds out on to a large tray and let the sensory play begin. 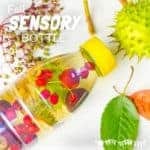 Let kids get hands on with this truly multi sensory play activity. I cant find the recipe. Will someone please post it on here? I have everything but the molds…. think I’ll give it a go with plastic eggs! I’m all for fun but seems like a big, sticky mess to me. 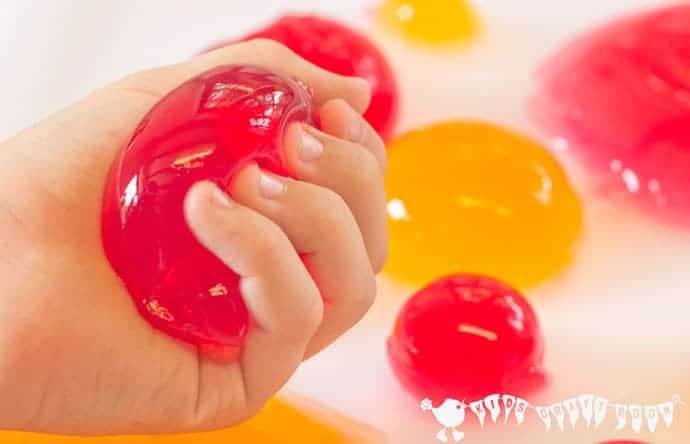 I’ve never done this before, so would like to know from someone who has, how do the jello balls retain their shape, is there a way to make it so thick? and how long before they turn into liquid? To make a more playable with ball, use unflavored gelatin in the making of your recipe. 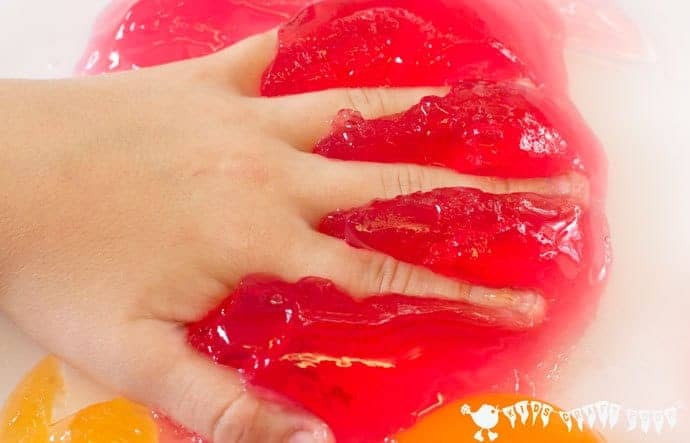 Check out the following link http://www.wikihow.com/Make-Original-Finger-Gelatin-(Knox-Blox) I have made these for years in many shapes and sizes. 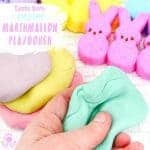 Favorites were always when I used children’s shape cookie cutters and the kids would play with them for hours before eating them up! I simply use a little less water than the recipe requires and they hold their shape well. It may vary depending on the brand of Jello so it’s probably worth experimenting a bit. 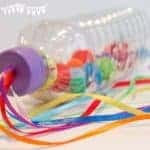 This looks like some messy fun! Pretty sure my daughter would LOVE it! 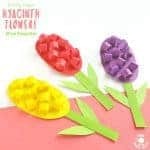 This is a great idea, but instead of buying molds, I’m going to use balloons. We use balloons to make ice balls all the time. 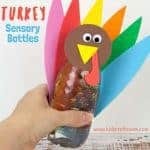 I can’t wait to see how he reacts when we cut open! 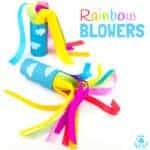 OMG, what a great idea to use balloons! 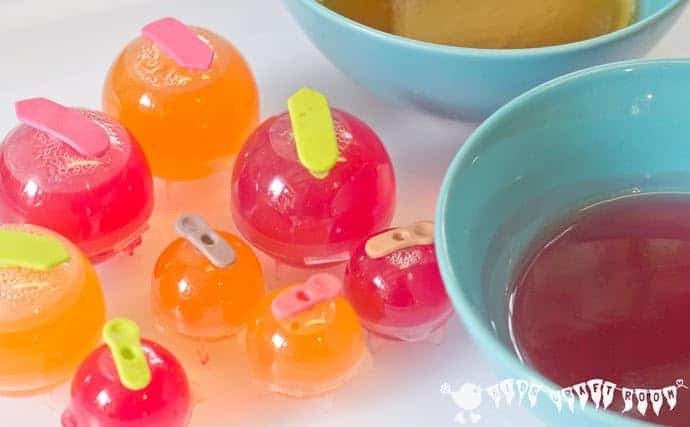 I was just looking at the molds, and they are kind of expensive for what you get, and I would need to put in a lot of work to make a whole classroom’s worth of Jello balls, whereas I could make many at one time with balloons! Thanks for the tip:)! 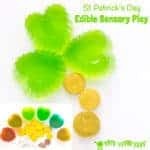 Please be careful when using balloons to mold the jello – there are serious allergies to latex and the food may become contaminated with latex. 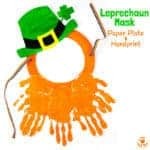 I learned I was allergic when someone had made chocolate bowls using balloons and had a severe reaction. What a great idea! My son would love to play with this… I just hope he doesn’t eat it all before he gets to actually play. Pinning. Wow, that looks amazing! I’d never seen those ice ball makers before, what a fun idea!